It is so easy with Paper documents. Once shredded these copies are gone forever. Computer data is nowhere near as straightforward. If you delete the file from your device, it will usually go to a recycle bin or deleted files area. This data would still need to be deleted from this location again. Then even when you think it is gone, this data is simply marked as being “available” to be overwritten. To this extent, it could still reside on your device for weeks or months. Recovery software could still get this data back. 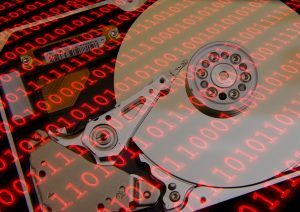 There are tools to overwrite “free space” on a computer if you need to still use it but ensure deleted data is gone. The biggest problem occurs when old computers or hard drives the company no longer requires, are then used by employees or passed onto a charity. The method you choose depends on what needs to happen with the devices after the data wipe. Media destruction is fairly common for media that has reached end of life, such as tape or to dispose of optical media that can’t be overwritten. There actually are shredders for tape and optical media — and even hard drives — that are used when media must be destroyed. The orientation of the magnetised particles can be affected by using a powerful magnetic field. This approach is best used for bulk when media needs to be reused but be free of retrievable data. Software can be used to overwrite the data several times. For large-scale tasks with time constraints this approach may not work. Here are some tools you can use for this task. We provide this service for our clients with military grade data wiping and certification of data removal. It is essential to ensure your company data is not left on old hard drives! The new GDPR law means failure to prevent data falling into the wrong hands could land your business with a huge fine.